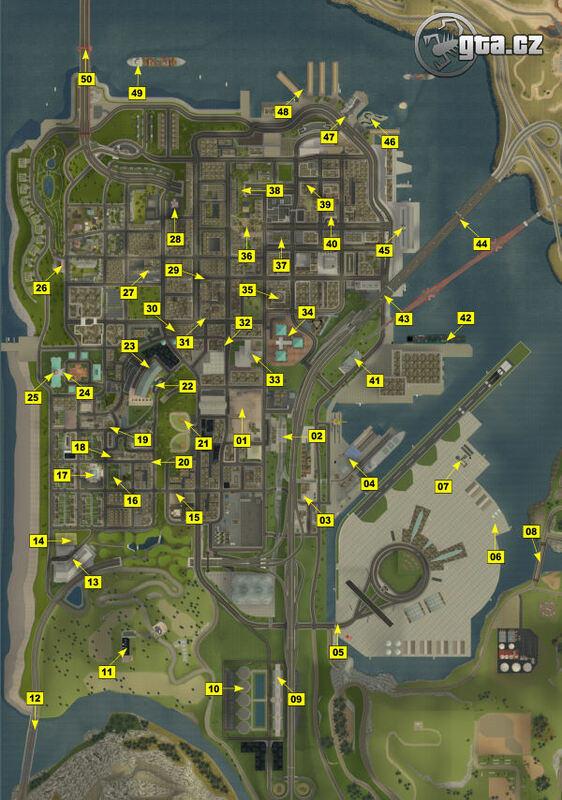 A clickable map of San Fierro with the positions of all places that you have to take a photo of. Each position on the map is active! Click to it to go to a new page with a photo and description of a required photo. Note: some places are reachable only with the help of a JetPack or chopper.